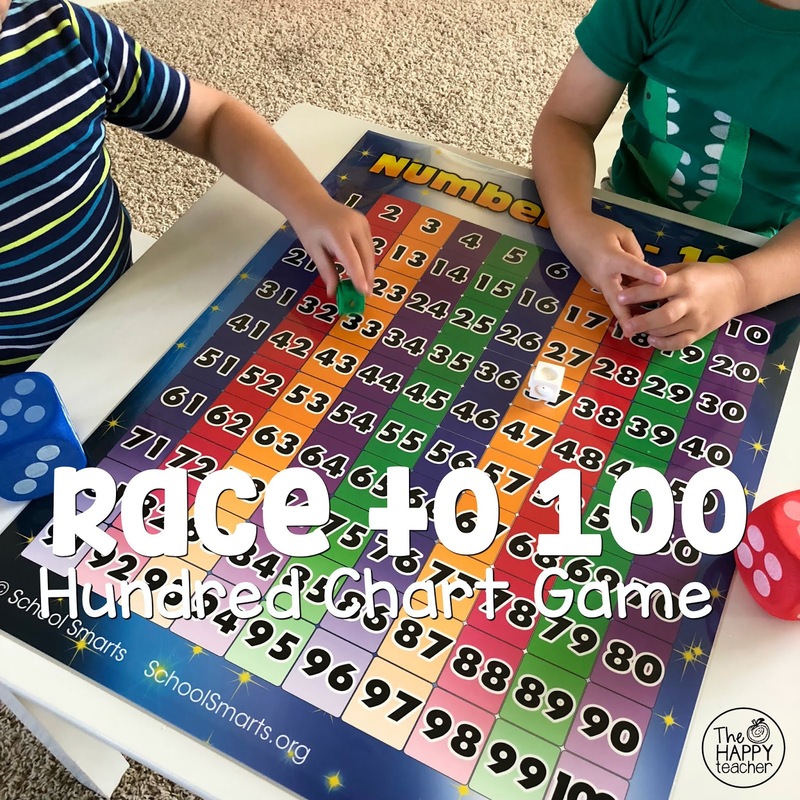 To play the game, you will need a Hundreds Chart, dice, and a game piece for each player. 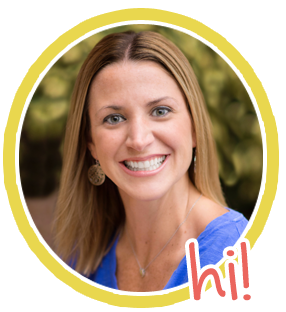 You can use snap cubes, a piece of candy, or any small toy as a game piece. 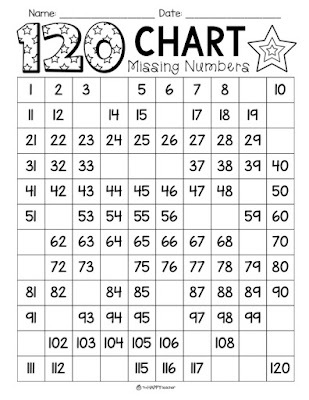 Need a Hundreds Chart or 120 Chart? Download one for free here. Players start next to the 1 and take turns rolling the dice and moving their game piece forward. To make the game more challenging, players can roll 2 or 3 dice on each turn. 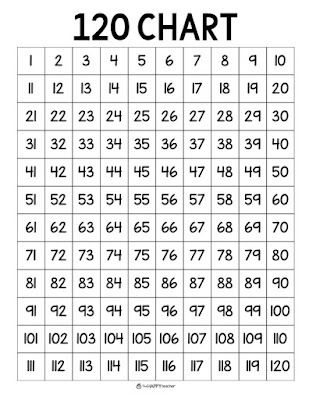 In this version, players add the sum of the dice and then move their game piece forward. 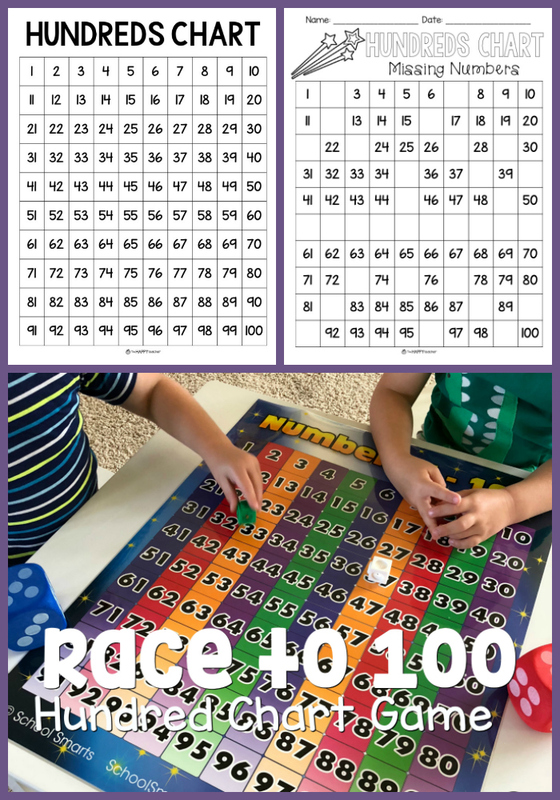 The goal is to make it to 100! 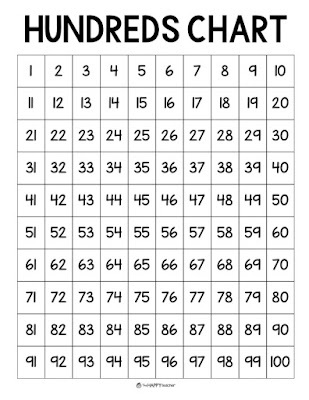 Another variation of the game is to start at 100 and move backward to 1. 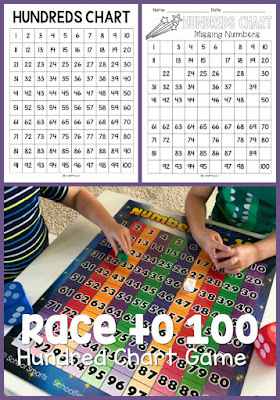 This is a great game to play on the 100th Day of School or to incorporate into your daily math centers. 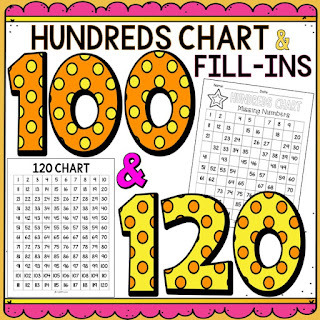 Visit TheHappyTeacher store to get your free 100 Chart, 120 Chart, and missing number fill-ins.